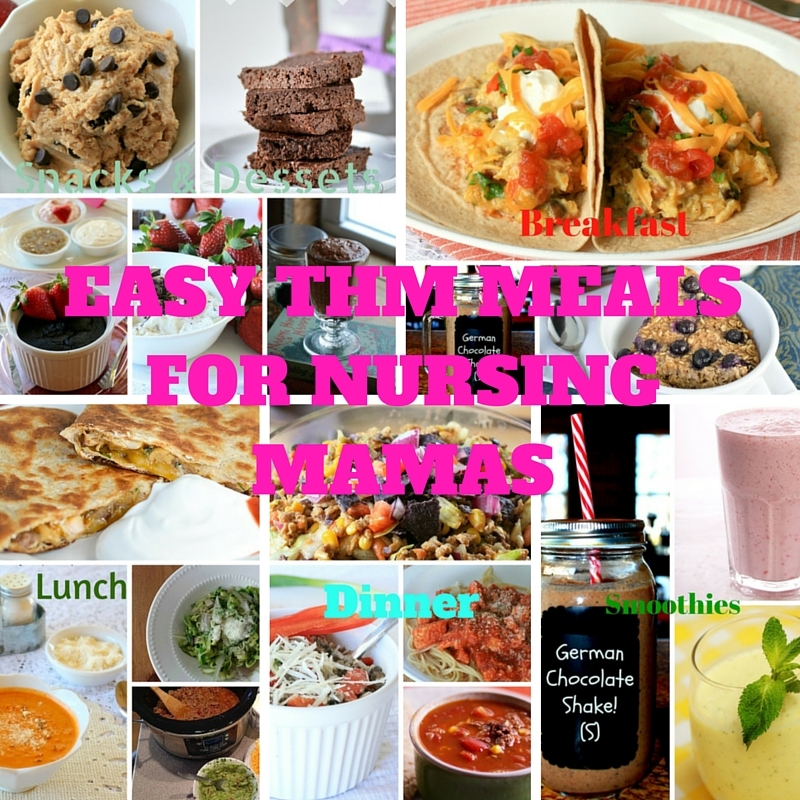 I’ve asked several of my THM BLOGGING Buddies to give me some of their FAVORITE EASY THM MEALS. I’ve asked for every Fuel Type & Crossovers. 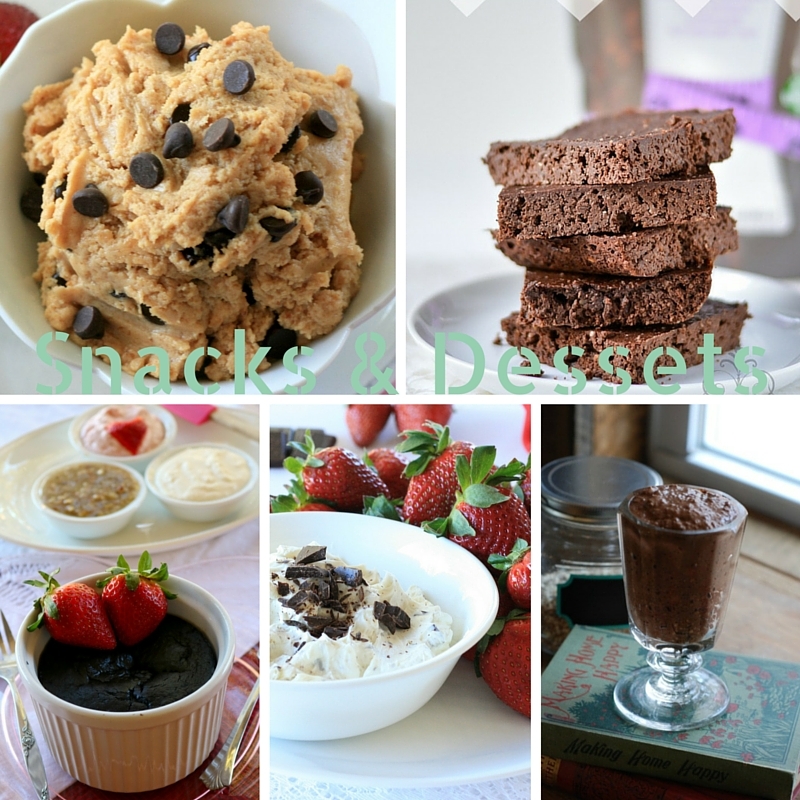 There are not many Crossover Recipes but it’s easy to create them and nursing mamas need crossovers & S helpers! 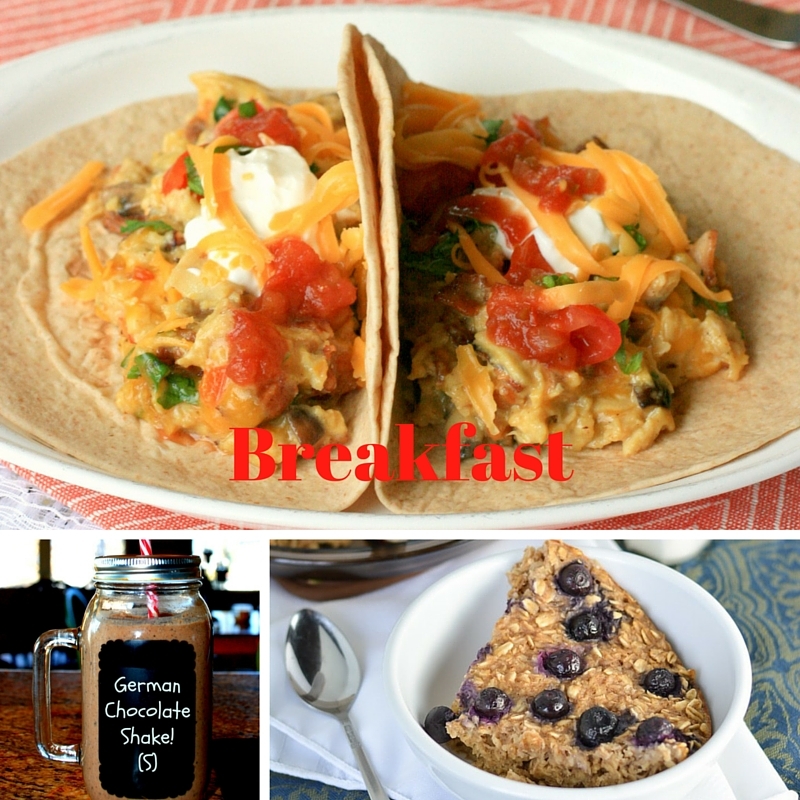 I’ll give tips on creating easy THM Breakfasts, Lunches, Dinners, Snacks! Here is that round up! Easy breakfasts or snacks or even lunches, for me, have always been smoothies. Those just can be thrown together easily! 1/2 cup of 0% Greek Yogurt, 1 cup of cashew milk, 2 to 3 tbsp. of THM Gentle Sweet or 1 dropper full of KAL Liquid Stevia, 2 cups of ice, 1 scoop of THM Pristine Whey Protein, 2 to 4 drops of Young Living Essential Oil, 2 tsps. of vanilla extra & a sprinkle of salt. Blend well. Add on a fruit (apple, orange, pear, peach, etc) or Sprouted piece of toast for an E. Add some bacon & eggs on the side for an S. Add butter or peanut butter to the toast for a crossover. Any of the Muffin in a Mug recipes from the Trim Healthy Mama Cookbook are easy for me to make for myself & place in a microwave. Eggs are easy for me to scramble together and usually hold me over for a while. To make an egg breakfast an S Helper or Crossover, you can add a couple pieces of Sprouted Whole Grain or Sourdough toast (crossover) or half a piece of Sprouted Whole Grain or Sourdough toast (S helper). 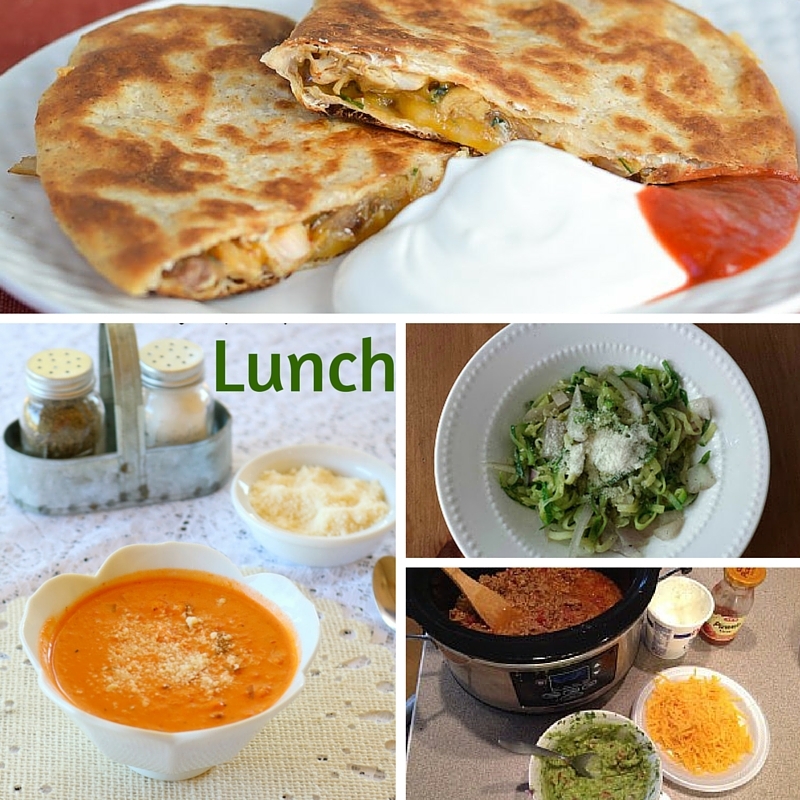 Other lunch options that are easy, especially if you have meat & salad already prepared, are tacos, quesadillas, taco salads. To make any of the above crossovers just add in a big fruit serving or some Baked Blue Corn Tortilla Chips with salsa or guacamole. Dinner can be relatively easy if you have cooked meat on hand. If you were able to brown, boil or cook up beef and chicken and freeze for after birth meals, your dinners can be super easy! I also will cook a spaghetti squash in the microwave to speed that up. I stabbed it with a knife a couple times, place it on a couple napkins, microwave for 15-20 minutes, its done! I then will take it out of the microwave, cut it open, remove the veins and seeds, and scoop out the ready to eat squash for whatever dish I need it in. The Chicken Spaghetti meal is so simple with premade meats & spaghetti! 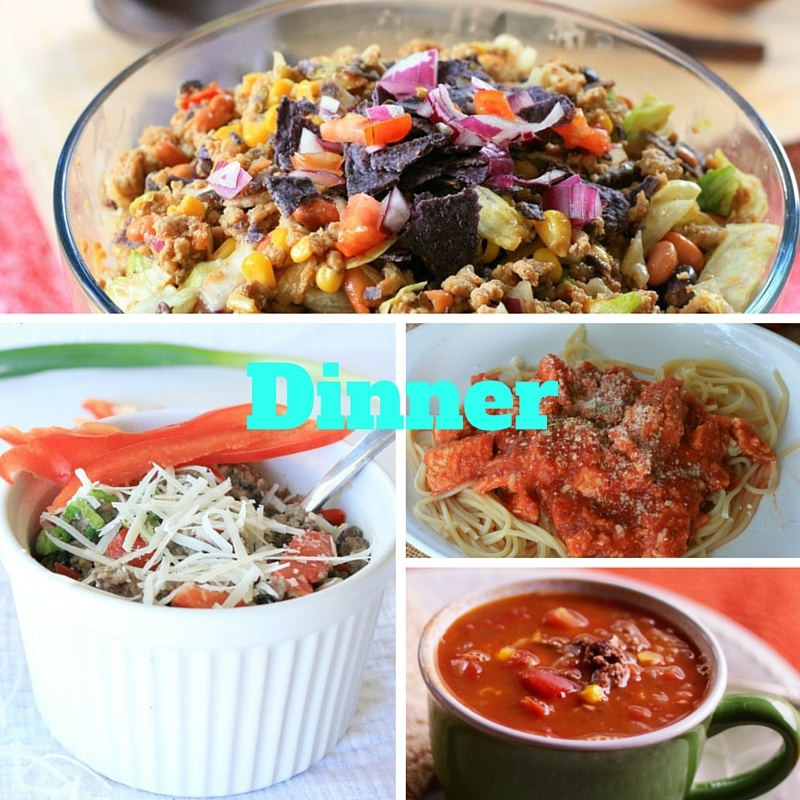 Same with the Stuffed Peppers in a Pot, Taco Salad Crunch, & Spicy Bean Soup. If you are needing to make an S meal a crossover, simply add in baked or roasted sweet potatoes, brown rice, or beans! To turn an E into a crossover add butter to a sweet potato, roasted veggies with cheese on top, or creams to a meal. Side dishes that are quick, easy and will help create either a Crossover or an S helper to go along with your S or E meals. One of the easiest side dish to make is quickly microwaved veggies with melted cheese on top. If you are not into the microwave you can roast whatever veggies in a cookie sheet on 400 degrees with a drizzle of olive oil, red palm oil or coconut oil, sprinkle salt & pepper, garlic, rosemary, thyme, onion powder on top and bake till tender (30 minutes to 45 minutes depending on how hot your oven gets). I could eat loads and loads of roasted veggies. Also, good quality canned veggies are an option or canned beans. I like to had a couple tablespoons of salsa to my canned green beans to spice it up. Sauteed veggies are another great great option! Use the Troodle from the THM Store and create lovely zucchini noodles. Do a quick sautee’ in butter, YUM!!! AND premade salads with premade dressings are always a perfect side!! 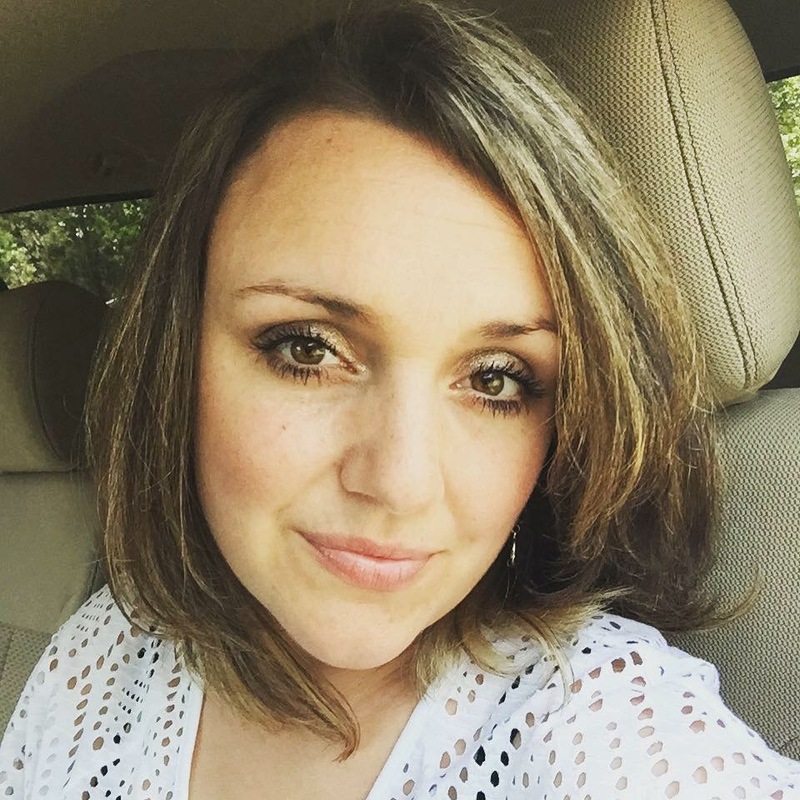 Nursing mamas & pregnant mamas need to eat a little more than others. So be sure to include snacks & or dessert throughout the day! The new Trim Healthy Mama Cookbook is FULL of so many amazing, quick and easy snacks, you have to check it out! A shake is always a great option for both snack or dessert. But if you need a little more than that here are some other ideas for you. If you are ok with having dairy, the 0% Greek Yogurt is perfect for a snack! You can keep it savory or add sweetener & flavoring to dip fruit into it! The THM Peanut Flour is awesome to add to plain sweetened greek yogurt. I love the Triple Zero Greek Yogurts too! I also love Daisy 2% Cottage Cheese with fruit (probably something I ate a TON of while pregnant). Also, there are great Muffins in a Mug & Cakes or Cookies in a Bowl too! Easy stuff! Mrs. Criddle’s Kitchen- French Onion Dip (S) (also on page 468 of the new cookbook) this is a great quick snack to dip cucumbers, bell peppers, or celery in! I hope this Round Up will help you stay on plan as you nurse your little blessing. 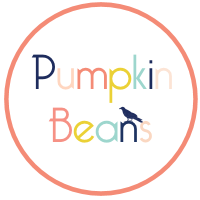 This Round Up will also work for pregnant mamas who need a little inspiration! Be sure to give yourself grace, lots of water, GGMS, nutrients, read your THM Plan Book & SLEEP (when you can)! Blessings to you!! 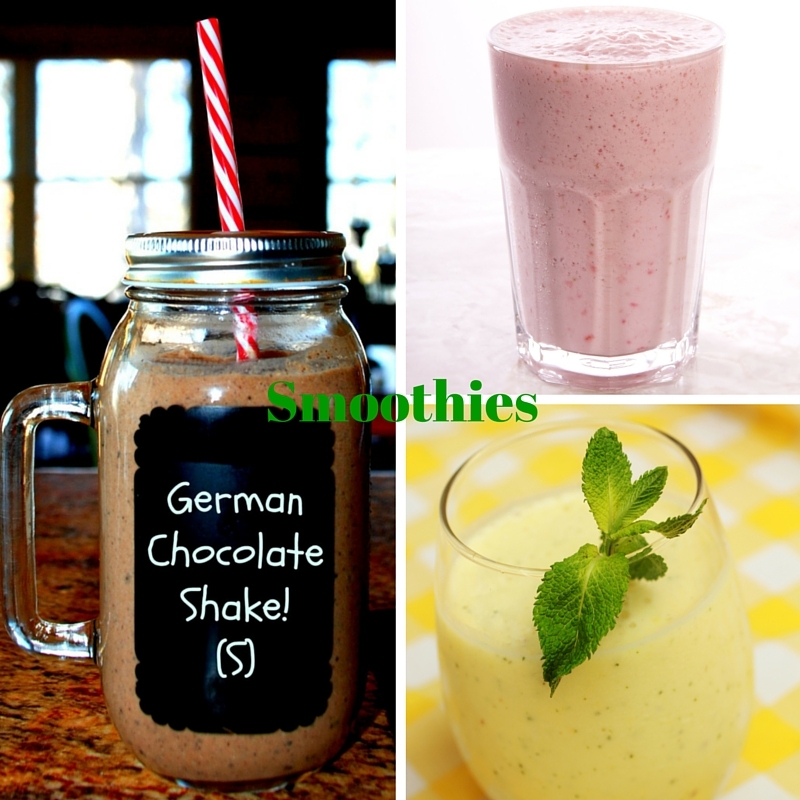 My absolute favorite shake is the German Chocolate shake from Jen’s blog A Home with Purpose. It really fills you up, so I can see where a hungry nursing mama would love that!